Aroma description: Like a freshly picked orange, it has a juicy-fresh, light citrus scent. Improves the aroma of a stale room. Yes! This oil is KidSafe! For topical dilution, we recommend a maximum dilution of 2-5%. Brighten your day by adding a few drops to your AromaFuse diffuser. This cheerful and bright oil can be added to body lotions, creams, salves, salt scrubs, and more! Bergamot, Clove Bud, Coriander Seed, Fir Needle, Frankincense Carteri, Geranium Egyptian, Ginger Root CO2, Jasmine Absolute, Lemon, May Chang, Neroli, and Vanilla CO2. Add one drop of this citrusy oil with one drop of Vanilla CO2 and Coffee essential oils to one cup of sugar (half white, half brown) to a teaspoon of Grapeseed Carrier Oil for an invigorating mocha latte bath scrub! 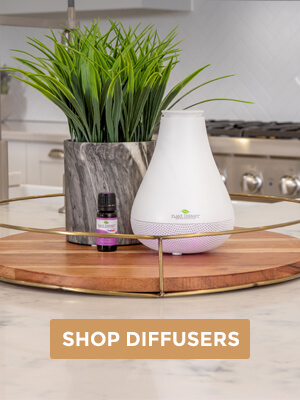 Add these essential oils to your AromaFuse diffuser and enjoy the delicious aroma! Try out Orange Sweet today! One of my favorites! Is there an alternative to peru balsam here? I’m allergic unfortunately. Vanilla CO2 would be suitable. This is one of my favorite oil scents, but I’ve not used it much for anything but the nice scent – now it’s nice to know I can use it to relieve stress and tension as well! So glad this information helped you find some more uses for Orange Sweet! Thanks for sharing, Sarah! Love Sweet Orange, I use it a lot! I love putting it in my bath salts! Thank you for sharing! Orange Sweet is great to add to a bath, it smells so good! I absolutely love Sweet Orange! I diffuse it to make my space and everyone in it “happy.” It is also great for not only cleansing the air but in DIY cleansers. I need to make a lotion with it now. An oil I will never be without. I just received mine and I love it! Citrus is my favorite and it’s so fresh! Orange Sweet is my favorite oil for taming stress and just adding uplift to my mood. I diffuse this with my Plant Therapy “Diffuse on the Move” right in my laptop while I’m at work. Everyone in the office seems to feel the uplifting effects as well!! It is also my go to paired with Vanilla when I’m making beeswax chapstick. Smells like a creamsicle!!!! I appreciate all the wonderful information shared on the oils within the Plant Therapy blog. I add everything to my “files” so I can extend my oil uses. Thank you for such a kind comment, Sonya! So glad you are loving your oils! This is my favorite oil for diffusing in my kitchen. The smell is wonderful. I use it in my kitchen cleaner too!! Thank you for sharing, Shawn! Too bad I don’t have Peru blasam and tangerine… those 2 will be on my wish list! This sounds like the most amazing summer blend to date! Thanks for sharing. Thank you, Kathy! We’re so glad you are excited about it! Personally, I love bath scrubs ~ And with orange sweet? It’s wonderful! We hope you love it, Cheryl! I often add orange to my mop water (along with some white vinegar) to help make my house smell good. I love the sweet, sunshiny smell! 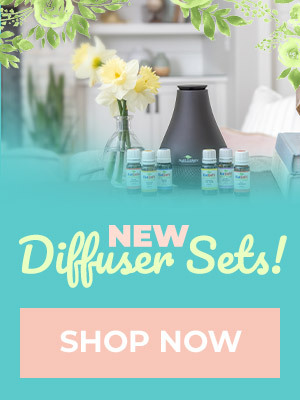 I plan to try the diffuser blends as they sound yum! Thanks for sharing, Lori! Glad you love using Orange Sweet! That bath scrub sounds good enough to eat!! Ha ha!! I’ll be giving the scrub and the diffuser blend a try! Thanks so much for the ideas and recipes. Really appreciate it! You are very welcome! We hope you love the scrub and diffuser blend! Tried the frosted orange juice diffuser blend. Big thumbs up from this household! I absolutely LOVE this blend. It’s sweet, uplifting, and just makes me happy. It’s not too terribly strong, but strong enough. This is a very “happy” blend. Good for any time of year. Thank you for your comment! Orange Sweet is a wonderful essential oil! I just ordered this. I can’t wait for it to arrive. I have avoided most citrus, even though I love citrus fruits, because of phototoxicity issues. However, my mind is put at ease by Plant Therapy’s excellent information. I hope it is as cheerful as I expect it to be. I love this oil! 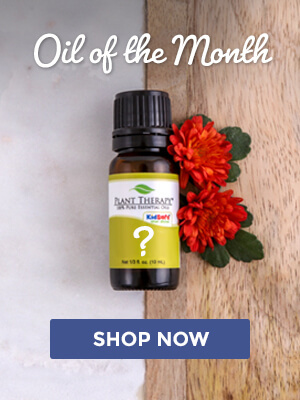 You better get it while it is oil of the week! I like to diffuse after work to calm my nerves. Can u put drops of the orange in drinking water? We do not recommend putting essential oils in water for drinking. Please email us at [email protected] for more information. 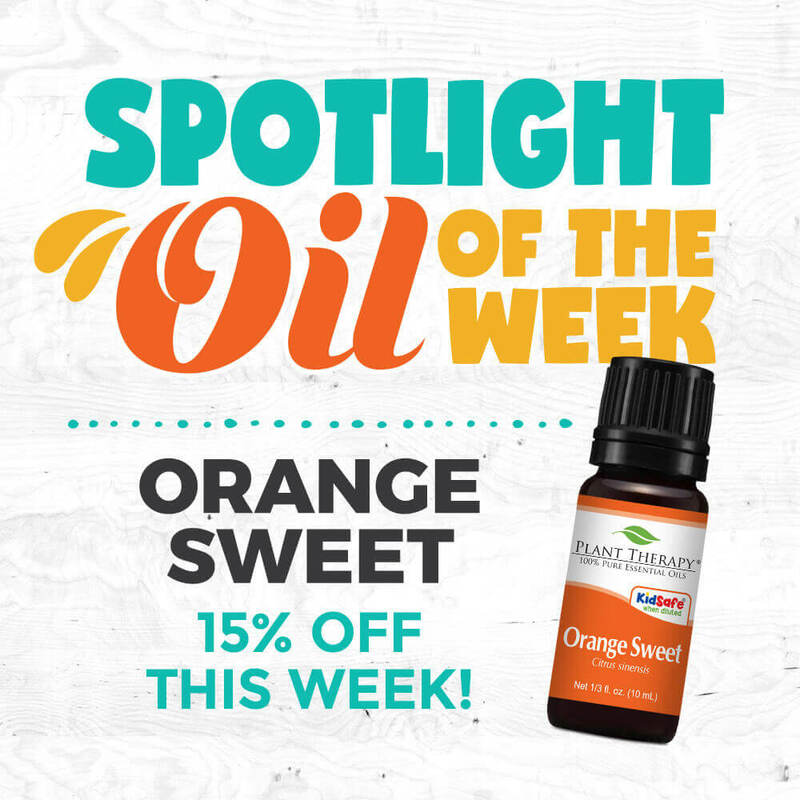 I have ordered Sweet Orange before and I am addicted to this oil! The smell is heavenly….makes my house smell great! Sweet Orange is one of my favorite essential oils. I use it in everything. LOVE, LOVE, LOVE!!!!! That’s great, Rachel! Thank you for sharing! I’m new to learning about oils. I’ve seen different types of “orange” in various diffuser recipes or cleaners. Can sweet orange be a substitute for tangerine or what other citrus/orange oils? Thank you. Just ordered this oil this evening along with five others for my first essential oil experience. 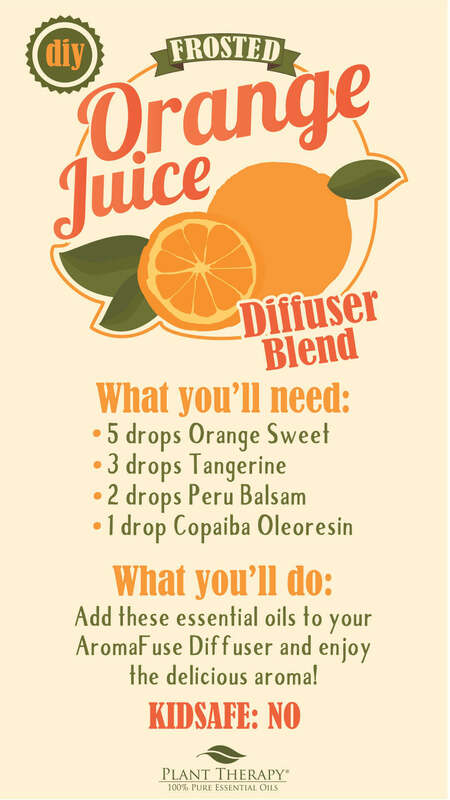 So excited for it to arrive…I love citrus smells and I am sure I will love diffusing this oil in my home. Bought this oil a few months back and fell in love with it, refreshing it is. First time owning sweet orange. Love the blogs and the ability to look things up when I need to learn how to use each of my oils. Me & my son love it so much! I have the 30ml bottle!! That’s great, Dawn! Thank you for sharing! That’s great, Lora! We hope you love it! Ooh, that bath scrub recipe looks amazing! Time to order more Orange Sweet! It is amazing! I tried it out. It is great for morning showers! love the Sweet Orange smell! I diffuse it in the morning for a refreshing scent and to wake up! Oh my sweet Orange Sweet…. love this oil. It’s my go to to “tame down” offputting oil scents. I will be ordering another 100ml bottle with this sale.